If you are looking for information on the Auto-Lab franchise business opportunity, AutoLab franchises or Auto Lab franchising, then you have come to the right place. Due to the complexity of today's automobiles, there is an urgent need for competent diagnostic and repair service Auto-Lab answers that need by offering total service ranging from diagnosis to proper repair of an automotive problem. By combining proper diagnoses, excellent repair work and total commitment to the customer, Auto-Lab Diagnostic and Complete Automotive Service has established itself as a reputable, efficient and professional automotive repair organization. 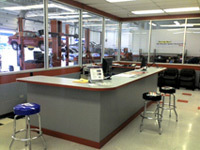 An Auto-Lab operation consists of a 4,000 to 8,000 square foot service and office area. Initially, owners often act as service managers and have a start-up crew of two lead technicians. Your responsibility is recruitment and training of employees, as well as solicitation of fleet accounts and the over all management of the operation. You will be responsible for accounting functions such as payroll, payables, receivables, parts inventory control, and efficiency tracking and evaluation utilizing the Auto-Lab Business Management System. 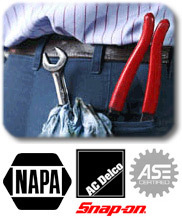 Auto-Lab provides comprehensive training in our classroom and at your location. By learning a system that has been tested, you will reduce your own learning curve and reduce costly mistakes. We instruct you in every area of our business operation.